We recently designed a new site for Andreas Svensson of Vero Beach. 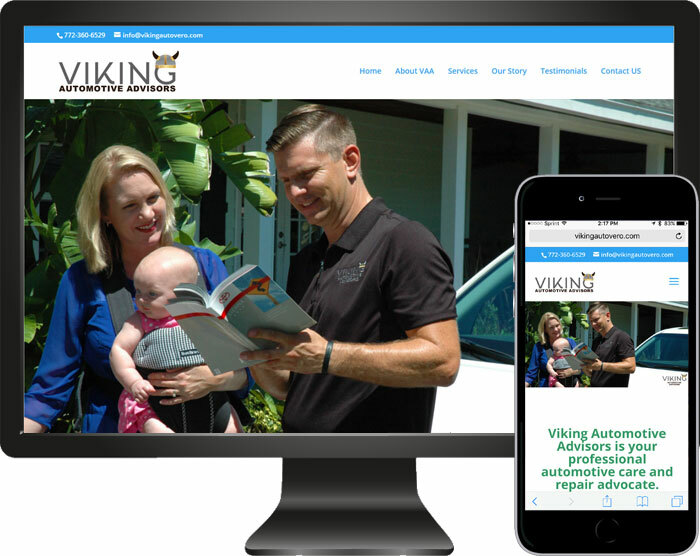 Andreas is the owner of Viking Automotive Advisors and needed a web presence for his business. The website is a one-page responsive site which means it viewable on multiple devices i.e. computer, tablet or mobile phone. The site is broken down into several sections i.e. about us, services contact form etc., the top navigation bar links to each sub-section the page, present throughout the site is a top-of-page button that floats on the lower right-hand side of the page.